29 officers have been trained and licensed to operate 14 drones for the NYPD in a unit known as the Technical Assistance Response Unit. These drones will perform a wide variety of tasks such as monitoring both vehicle and pedestrian traffic, surveilling large events, search and rescue, and assisting in other miscellaneous emergencies. It has been a little while since we looked at the emerging market for security drones. It is still true that security drones require human pilots to be effective in a police force, and it is worth clarifying that these UAVs are not autonomous. The idea is for the drones to act as an advanced party to a crime or emergency scene. Drones having eyes on the situation first gives incident commanders the chance to see what they are getting into before they jump into danger. Unlike in China, where drones disguised as doves watch every living thing in Beijing, these 19 drones will not be used to perform warrantless surveillance, though many still suspect misuse to occur anyway. Two of the drones are quadcopters with zoom-in cameras and thermal imaging capabilities. The remaining drones are smaller, with one being relegated to training purposes. NYPD has said that these drones are for special situations and not for routine patrol or for use in traffic enforcement. They also claim they will never attach weapons to these machines or use the drones themselves as weapons. Whether or not that is a promise that sticks remains to be seen. Drone use by police is certainly not new and not just for big city departments anymore. The Center for the Study of the Drone at Bard College has shown over 900 law enforcement agencies with deployed drones at the time of their study. However, that scale of drone surveillance still pales in comparison to what China is executing, and for that we should probably be grateful. Security Technology of South is proud to offer integration of security services and custom solutions for any and all security needs. As Super Bowl LIII approaches, police and partner agencies are meeting for a tabletop exercise to develop a security plan to host the event on February 4. These law enforcement partners include the FBI, Homeland Security, and the World Congress Center police. The agencies met to discuss possible crisis scenarios for the Super Bowl and for the 10 days of events preceding it. Those involved in the preparations for the Super Bowl will “work on contingency plans for everything from suspicious packages to protests and even mass casualty incidents.” (Amy Patterson, VP of operations and logistics for Atlanta Super Bowl Host Committee). “Today’s an opportunity for us to exercise those plans through about eight scenarios that we’ll talk about, things that could happen during [the]10-day operational period of the Super Bowl,” Patterson said. Events on the scale of a modern Super Bowl demand a serious security effort that spans multiple dimensions. 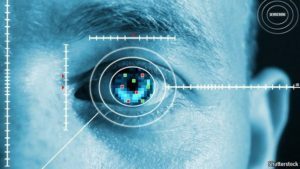 A human security presence, vast camera network, analytics, authentication through biometrics or RFID, and facial recognition through FBI databases will all play a part. There are similarities between this and the upcoming Olympics in Tokyo, which is not surprising considering the FBI’s involvement in both. Planning for mass casualty events is usually considered to be within the exclusive scope of law enforcement, but it is increasingly through surveillance and analytics that we are able to discern an imminent crisis from the behaviors of crowds. As we have looked at in previous articles, analytics systems using a wide network of IP cameras can look at everything from the movements of crowds, the walking gait of individual persons of interest, and more to determine if the outbreak of violence is imminent. So while it is still up to law enforcement to gather intelligence leading up to an event, it is increasingly technology that alerts us to events about to unfold. Security Technology of South Texas is proud to offer custom solutions for any and all security needs. Although Apple faced a major PR incident when it revealed its Face ID unlocking feature for the iPhone X, industry experts remain confident that the technology behind the feature will change the game and be here to stay. The system, infrared powered facial recognition, unlocks the phone and performs several other functions as well. Facial recognition is increasingly popular, especially in China. Megvii Inc. is a Chinese facial recognition startup that through the Chinese and Russian governments and investors raised over $460 million to develop enhanced facial recognition for government use. In an inversion of usual trends, the technology is really still just emerging in the West even as it explodes in Asia. In the East these systems are already quite well established and are used by everything from state security forces in India and China to commercial banks, restaurants, and stores. In some stores in China, you simply take what items you want out of the store and a facial recognition system automatically debits your account for your items. The technology sees extensive use by the police, who have AR glasses which perform facial recognition and project information onto what the user sees in the physical world. Before this, during the 2013 Youth Games at Nanjing, police monitored 13 stadiums and their surroundings using an IoT network powered by Chinese company Huawei. This was linked to CCTV systems, drones, and cameras mounted on vehicles. Now with the added factor of AI face recognition software, experts believe that with improvement this could create a collective or collaborative security. As in the previous case we looked at in China, collaborative security networks can be developed throughout interconnected neighborhoods. Facial recognition can ID strangers to an area or home, alert neighbors, and signal security or law enforcement. This technology can also notify during emergencies of other types and even provide some monitoring for children and the elderly. Like we already looked at, facial recognition is becoming the standard in the East in places such as China and India for things as commonplace as setting up bank accounts or even entering public restrooms. We are already seeing this spread West. As many as 25 percent of stores in the UK were using this kind of software as far back as 2015. These systems were originally to catch shoplifters, but is now used increasingly to verify identity in high end stores and banks. “In Hangzhou [China], Alibaba has launched a ‘smile to pay’ function in KFC restaurants, designed to attract younger, tech-savvy customers and reduce waiting time and staff demands through automation.” (securitytoday.com) These are the kinds of things we should expect to see in the coming years in the U.S. as far as this technology goes. What’s more, this data will be amassed and used as “big data”, processed and used in algorithms to predict customer behavior based on things like body language, facial expressions, and time spent in different parts of a store. Soon we will have no real way of knowing what information is being gathered about us and what is being done with it. It is certainly no secret that cybersecurity is ever increasingly a focal point for security professionals. It is now no longer on the periphery and is of serious concern in the video surveillance market. Because of this blurring of the lines between hardware and the digital realm (cloud), a competent security integrator needs to have a team that understands the interplay between the two and can make the best design decisions possible. Hackers have known for quite some time that video surveillance cameras are some of the easiest to breach pieces of internet connected tech out there. Indeed, there are entire websites devoted to indexing the IPs of unsecured cameras and access control systems around the world. People are going online, without any technical skill, and doing things like turning the lights on and off in stadiums and spying on people though the camera they have placed in their living room. Being able to link a system to a two-step authentication through a specific cell number is a pretty strong defense against hackers, who traditionally access these systems through manufacturer back doors, “zero-day” exploits, or simply by using “packet sniffing” programs to watch your traffic and pull the IP and MAC address on your devices. The prevailing opinion online seems to be that those dealers/integrators who do not keep up with this virtual counterpart to the physical systems they install will risk putting in systems that could be compromised and even lost to hackers. As the IoT expands and proliferates there will be many more individual possible weak points to conduct a security breach against in a network. 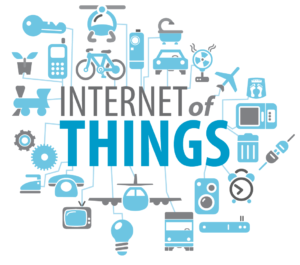 STST makes use of a wide array of IoT-like devices already, as do many other companies and industries. Mobile connections can be used as backups for hard-wired connections in security solutions but are more critical when a system needs to include 24/7 personal video and control access to a user or users wherever they are. The security industry in general is likely to become increasingly centered around the usefulness and convenience of mobile communication tech, as many of us certainly seem to be already with our personal and social lives. Security Technology of South Texas is happy to offer custom access control and surveillance solutions with video analytics to the greater South Texas area, designed either turn-key and from the ground up, or integrated into an already existing series of cameras.